This research undertakes the comparative study of the selected poems of Emily Dickinson and Parveen Shakir in the context of feminism. It is divided into five chapters which are introduction, feminism, and life history of the poets, comparison and conclusion respectively. All these chapters are comprised of the required data according to the demand of the research topic. Feminism is a movement in defence of women. It propagates equality of women in society. It developed gradually in the 18th century and became effective in the 19th and the 20th centuries. In these centuries, feminists raised their voices for the welfare of women. They also moved against the oppression and subordination of women to men. In the field of literature, women writers wrote about the respected status of women. Emily Dickinson, the American poet and Parveen Shakir, the Pakistani poet expressed the feelings, desires and thoughts of women in their poetry. These two female poets belong to different countries but they represent the same kind of feelings regarding women. The life history of these poets shows that they had to bear many hardships in their lives. They had been oppressed and pressurized to remain subordinate to men, but they have proved themselves bold enough in expressing their feminine feelings. This research shows that they were very impressed by the movement of feminism. This movement provided a platform to them to put forth the feminine feelings of all the women. It is deduced from this research that women writers always think, feel and express them in the same way whether they live in the East or the West. Submission Details: Dissertation Abstract submitted by lubna azam from Pakistan on 28-Jan-2013 19:06. Abstract has been viewed 3064 times (since 7 Mar 2010). Great care has been taken to ensure that this information is correct, however ThesisAbstracts.com cannot accept responsibility for the contents of this Dissertation abstract titled " Comparitive Study Of The Selected Poems Of Emily Dickinson And Parveen Shakir In The Context Of Feminism". 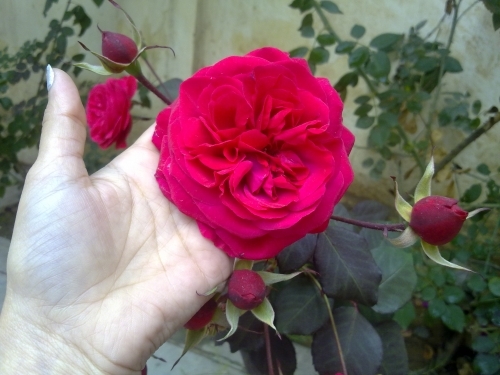 This abstract has been submitted by lubna azam on 28-Jan-2013 19:06. You may report a problem using the contact form.